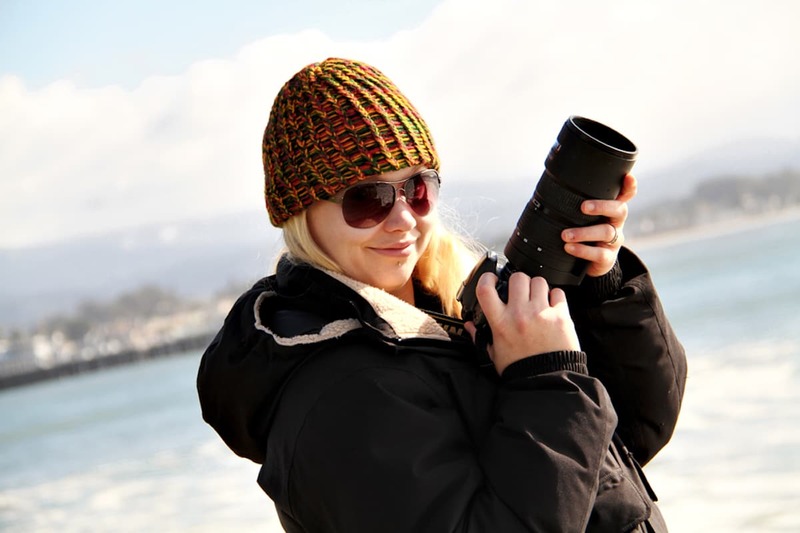 My name is Steffanie Crockett and I’ve been looking at the world through a viewfinder professionally since 2007. Adventure and photography are my two greatest passions, so of course I had to find a way to combine them. Working for Swaggerjack Productions as a photographer in Gainesville, Florida afforded me travel opportunities which allowed my talent to blossom. I take great pride in getting the best possible picture to capture the moment effectively. I minimize any post-shooting editing by striving to use my settings creatively to get the desired image. It all started with sports; mainly surfing, kayak surfing, biking, and BMX coverage. I enjoyed the excitement of the activities as well as participating in the sport. From the untouched beaches in Costa Rica to the remote shores of Oahu, Hawaii, I have meticulously followed surfers to get their best waves and help spread their passion for the sport through amazing imagery. The courage and skill required to perform stunts on a bike, be it a mountain bike or BMX, is extraordinary. Young athletes will throw themselves and their bikes down on the concrete time and time again until they hit the ramp just right and nail their trick. With this much dedication and will, it is inspiring to catch them at the peak of their performance, mastering the trick that had befuddled them for weeks prior. These athletes have such a great passion for what they do, it only pushes my passion for photography further. Being a Gainesville photographer gave me great access to many aspiring and established athletes to collaborate with. While traveling to follow different surf competitions, bike competitions, and even alligator wrestling competitions, I was able to see a vast amount of our beautiful country. All the natural beauty and wildlife was prime for shooting, and my repertoire expanded to landscapes and nature photography. I love just taking long walks with my camera and seeing what I find. Whether it’s an eerie dead tree, a majestic bald eagle, or an elusive owl, it is beautiful and a joy to capture from my perspective. Photography is art and is all about how the artist perceives the world, for every picture is just one perspective. As a Gainesville photographer, I’m fortunate to be surrounded by many great and scenic parks. There is always something beautiful just waiting to be shot- with a camera of course. My photography style has remained natural and journalistic. I refrain from over-editing and prefer to rely on camera skills rather than post-processing to achieve quality images. Being able to capture family portraits, baby portraits, children portraits, and even business head shots creates a unique lever of intimacy with my clients that simply can’t be attained in every industry. Watching these families grow and being a part of such important moments in their lives such as maternity, birthdays, and graduation is such a rewarding and enjoyable factor of my work. So, why the name? Prost!Photography is a mix of German and English. Obviously, Photography is the English portion, but “Prost” is the German equivalent of “Cheers!” I have yet to attend a sporting event that didn’t (at one point) offer beer and spirits, and typical party-type events will also have spirits; making “Prost” a perfect title for my desired work. I shoot primarily with a Nikon D810, an SB-910 Speed Flash, and backup with a Nikon D7100 and Nikon/ Nikkor lenses. I’m not just a photographer for Gainesville either; I’l travel wherever the client needs me! Travel fees would be included in any quote, of course. Prost!Photography is available for nearly any event, schedule pending, so contact us soon for booking! !